Booth 4: Jolly Old St Nick ?? We love this pic of our friend Dawn and her precious little girl Clara. Anyone with kids can relate! 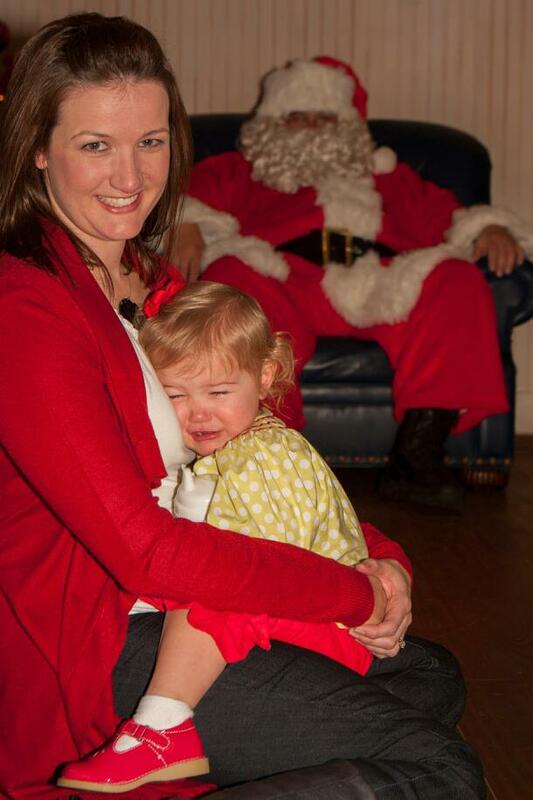 Their trip to breakfast with Santa did not turn out exactly as planned. 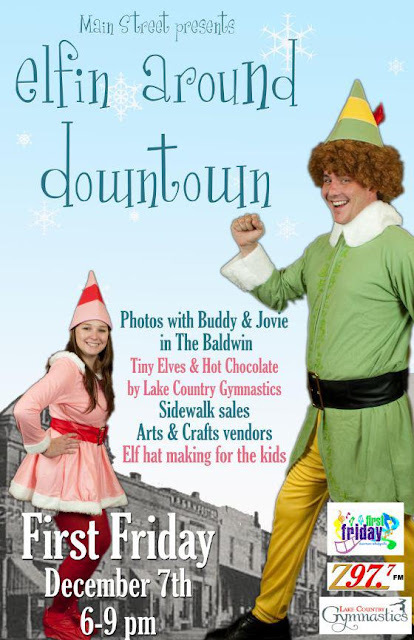 We've got the solution--come downtown this Friday night for First Friday and "Elfin Around Downtown". Buddy the Elf will be available for photos with the kids and adults---and btw---- be sure the kiddos bring their Christmas list because "Buddy" will be delivering them to Santa. We will have little elves performing and the kids will get to make elf hats to take home. There will be sidewalk sales (be sure you check ou the one at OCT) and art exhibits, music, and much much more. Gotta love the Holidays in the 'Ville!